Visit us at the Surf Expo in Orlando! Whether you are a distributor, surf shop owner, run a school or are just generally interested in our water shade and sunglasses, come visit us at our booth at the 2015 Surf Expo in Florida, Orlando! Now official, we congratulate our team rider Rimas Kinka for setting the new world record of the longest kitesurfing journey, traveling 446 nautical miles (826 km; 513 statute miles) from Jacksonville to Key West (Miami, USA), from February 5 to 8, 2015. 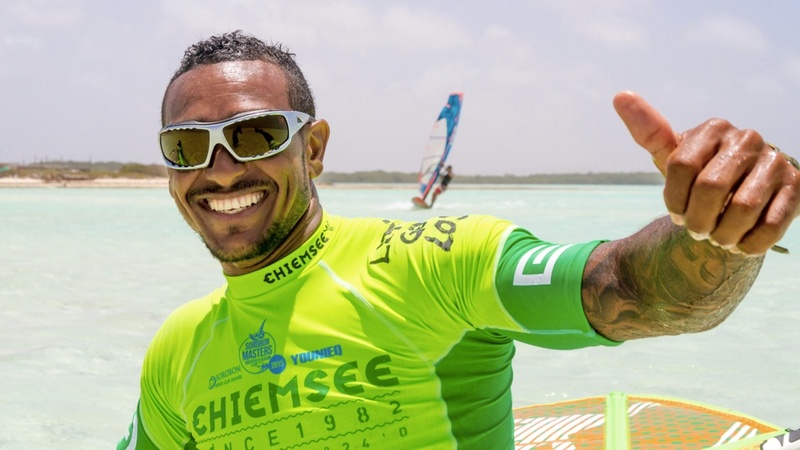 Windsurfing legend Taty Frans, a professional freestyler/slalom windsurfer from the island of Bonaire, is now a part of the LiP Team. We are proud to have you on board, Taty! Thanks to our Middle East distributor’s great work, LiP Middle East now is ready to go. Yo (Narapichit Pudla), the 5-time Asian Formula Race Champion, is also now on the LiP Team! Big welcome to you, Yo! Ranked No. 2 in his age group, Christian Q Tio is currently one of the most promising young kiters in the world we at LiP are very proud to have this talent on our team. New colors and lenses for the Typhoon and our Urban collection! Here at LiP, we’re thrilled and delighted to announce that LiP is the official sponsor of the Dutch Windsurf and Kiteboard Championship. It’s the WK kitesurfen. (Westlandse kampioenschappen) hosted by West Beach. The LiP crew was out for a day of fun both in and out of the water. It was a day full of sunshine – perfect for wearing LiP. The happy winner of the WK kitesurfen was also a new and proud owner of LiP Twist. LiP’s Typhoon took its first bow at the 2013 Kiteboard Course Race World Championships in Hainan. The function of Typhoon’s Zeiss Tri-Pel lenses amazed kiters who saw the hydrophobic and oleophobic test results. Typhoon comes with a Titanium necklace onto which you can attach your Typhoon to avoid loss in the water. Typhoon’s new colours also attracted a lot of attention.